Another crazy weekend, weather wise. Saturday started with heavy fog that was just beginning to lift as we got to the lake. It was already warm and humid out when we arrived and supposed to get up into the 70s, but not so inside the cabin. As soon as we opened the front door, we were hit by an icy draft as the cold air from inside the cabin rushed out. Undeterred from the icy inside temps, Dave started up the generator, turned on the heater, and went to town building the fireplace wall. and, we’re ready for the stone! 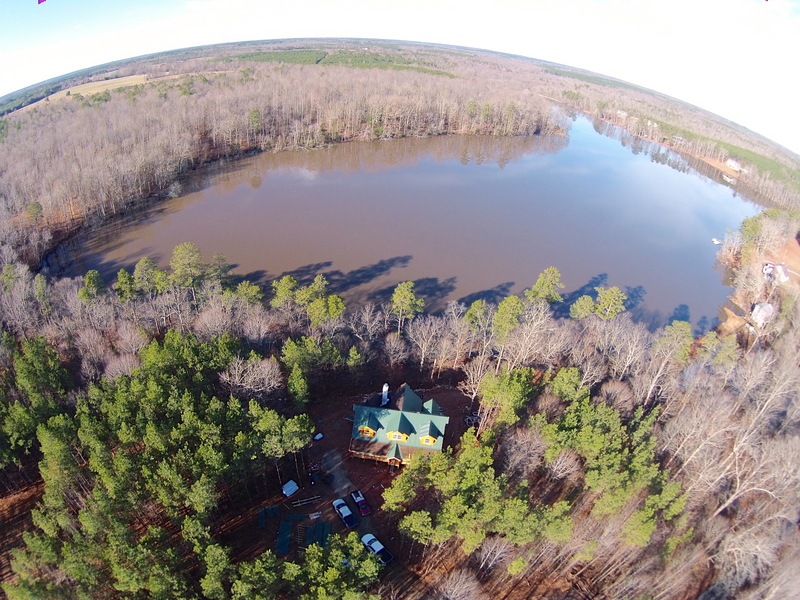 And, incase you were wondering what our place looks like from above, Todd Hawkes just sent us this photo… Thanks Todd!! !